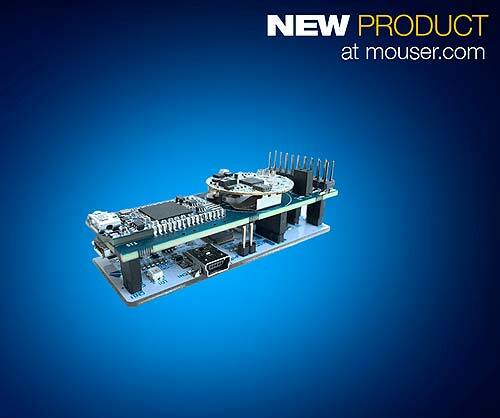 Mouser Electronics, Inc., the authorized global distributor with the newest semiconductors and electronic components, is now stocking the STEVAL-BCN002V1B BlueNRG sensor node development kit from STMicroelectronics (ST). The fully equipped evaluation kit includes the BlueNRG-Tile multi-sensor board and STEVAL-BCN002V1D programming board for the development of Internet of Things (IoT) applications. The ST STEVAL-BCN002V1B BlueNRG-Tile Kit, available from Mouser Electronics, is built around the BlueNRG-Tile, a coin-sized sensor node based on the BlueNRG-2 system-on-chip (SoC) with an Arm® Cortex®-M0 core. Supporting Bluetooth® Low Energy 5.0 for remote monitoring and sensing applications, the ultra-low-power SoC is ideal for smart agriculture, supply chain management, smart home, and industrial applications.